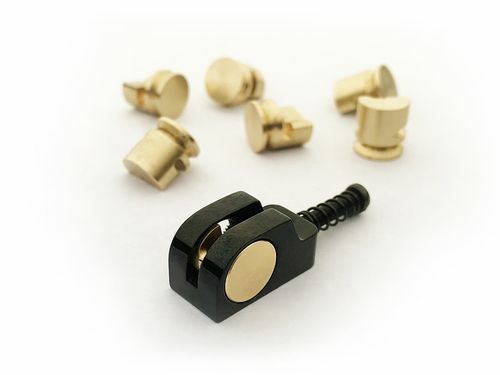 Add some chime to your guitar or bass with these solid bell brass eCAMs saddle inserts! Installs in minutes and fits all FCH models for 6-string guitar or 4 or 5-string basses. Select from 6 each brass saddles for guitar, 4 each brass saddles for bass, or 5 each brass saddles for bass below. Free shipping for U.S. orders. S&H applies for orders outside the US. 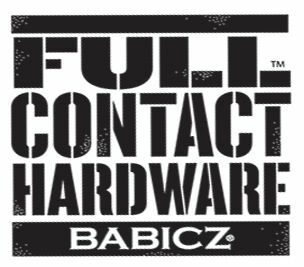 These genuine stainless steel Babicz Full Contact Hardware eCAM saddle inserts are designed to fit FCH Bass and guitar saddle housings. Buy one or a full set.